Fizzy Kush by Sub Ohm Juice is a super-sweet, nostalgic blend of sugary gummy sweets and cola, and is now available in nic salt pods for the Aspire Gusto Mini. 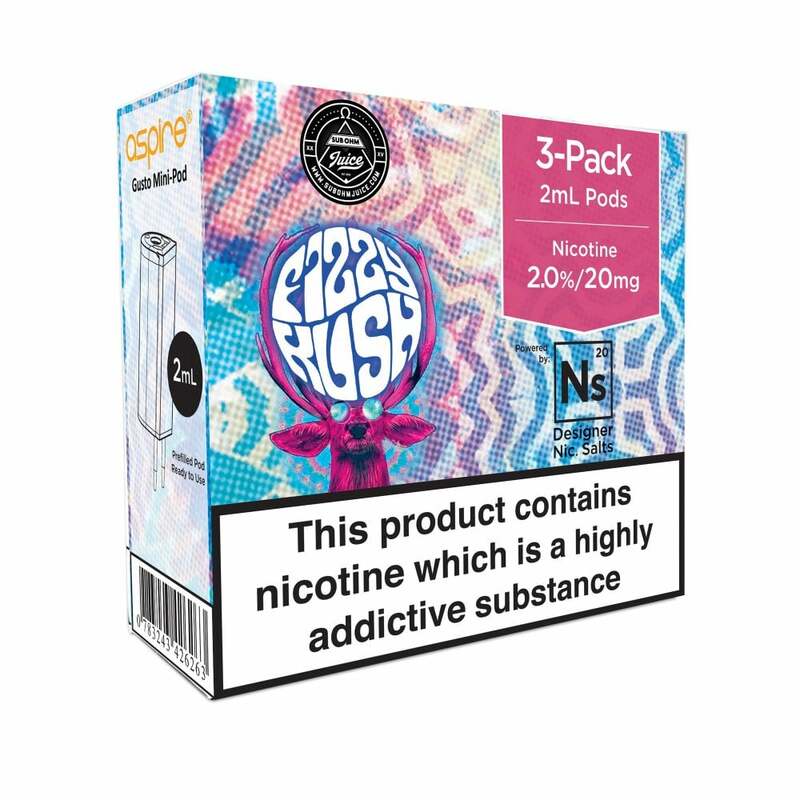 Vapers with a sweet tooth will love this marriage of soda and sweets, and thanks to their nicotine salt formula, Fizzy Kush Gusto Mini pods deliver incredible satisfaction. I love the aspire gusto device and was dying to try new flavour pods but unfortunately in my personal opinion I’m not that keen on this flavour it’s very mild and not much flavour however taste is personal preference but this one not for me!